My daughter has been begging me to learn how to crochet and knit. I told her she was barking up the wrong tree. I just don’t have it in me. I actually watched about 5 different “beginner” YouTube videos in an attempt to get Natalie started. I couldn’t even get the KNOT started. WHAT? Impossible. 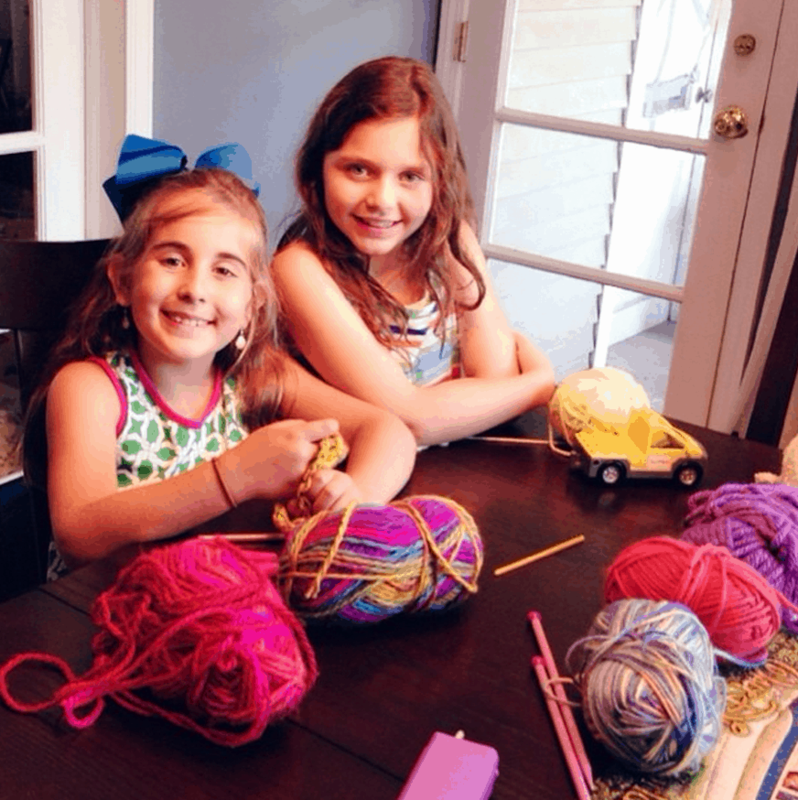 Our friends have a daughter who is an avid knitter and we had them over yesterday to give both of us a mini-lesson. They were SO CUTE!! Of course, I spent most of the afternoon and evening with the mom. I missed the information! But my daughter kept coming out with her new creations. I am going to look for some sort of after-school or weekend program in the neighborhood. I think it’s a wonderful skill to know, right? I already put in my order – a scarf for the winter! I will let you know how it goes. Do you crochet or knit? Do you have any tips?? Books? Videos? Would love any advice! As crazy as it sounds, I learned to knit with the Klutz series book on how to knit and it actually turned me into a master knitter. When I haven’t done it in a while, I refer back to that book to remind me how to get started. I highly recommend it!